Social media is a fickle place. One day you’re the hottest convicted felon in the history of ever; the next, you're learning that some fresh new photo has eclipsed your reign as #PrisonBae. 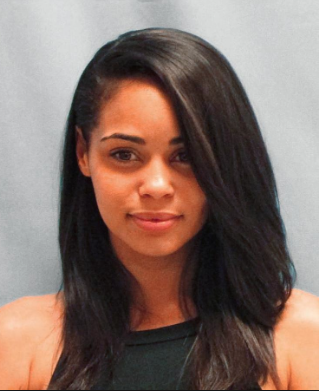 Sarah Seawright of Arkansas has earned newfound fandom for being social media’s newest mug shot darling. According to CW33, Seawright, who sports perfectly coiffed hair and a slight smile, was arrested in late April for failure to appear in court in connection with a 2014 careless-driving arrest. In 2012 Seawright was accused of robbery, kidnapping and battery for her role in a parking lot theft, according to Fox 16. Many men and women on social media are willing to forgive Seawright for her alleged crimes, except former wide receiver Chad (Ochocinco) Johnson. After being asked whether he wanted to bail her out, Johnson tweeted, "Today is a day to save money, she's gonna have to sit & think about her mistakes like I did." Seawright is good on bail money—at least according to her social media account, which notes that she is out and is shocked by the notoriety her mug shot has received. No word on how Meeks, the original #PrisonBae, has taken the news that he's lost the title. Read more at CW33 and Fox 16.